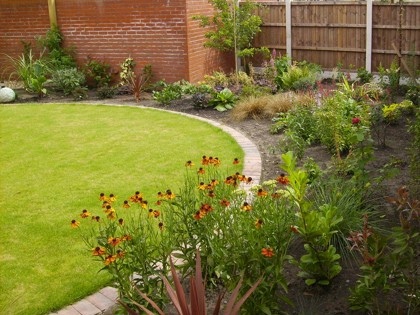 Your Garden offers a range of planting and border design services for domestic and commercial clients. 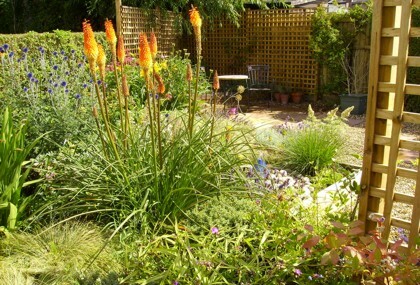 From themed planting schemes to cottage gardens and rockeries we can source and implement planting projects of any size. Our planting projects have included sensory gardens, office fronts and wildlife gardens as well as more traditional garden borders. 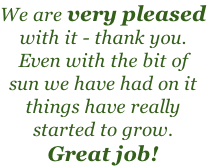 We hand source plants from commercial growers and the best independent nurseries to ensure all the plants we use are of the finest quality. Often we are able to create a new border for little more than you might pay going to a DIY store or garden centre and picking the plants yourself. You can find more samples of our border design and planting work in our online portfolio, or contact us to find out more. 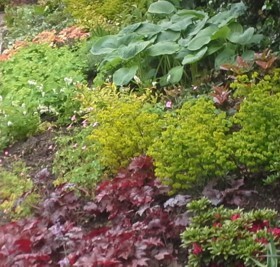 We also offer a complete border design service to ensure you get the right plant in the right place. We can then source the plants and install them for you as well if you require. If you require bedding plants to create instant impact, around commercial premises for instance, we can also help with this. Bedding schemes can be created on a one-off basis or an ongoing contract with twice-yearly seasonal revamps.